If you couldn't be swayed to buy Amazon's $99 Fire TV set-top box, perhaps you'd be interested in the company's new $39 Fire TV Stick instead. 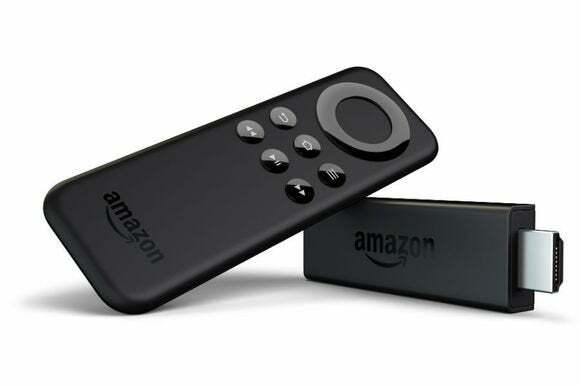 Like other dongles such as Google's Chromecast and Roku's Streaming Stick, the Fire TV Stick plugs directly into an HDMI slot for streaming videos and music. But Amazon isn't shying away from comparisons, and claims that its TV dongle is much more powerful than the competition. For instance, Amazon says the Fire TV Stick's dual-core processor is 50 percent more powerful than Chromecast, and its 1 GB of RAM is twice as generous. It also includes a remote control so users don't need to have a smartphone or tablet handy. And compared to Roku's dongle, the Fire TV has 32 times the storage at 8 GB. That means users can download and play games from Amazon's app store. Why this matters: While Amazon's existing Fire TV box is makes perfect sense for Prime subscribers, it's a tougher sell for people who aren't already invested in Amazon content. The Fire TV Stick aims to make that pitch a bit easier, with a much lower price and nearly all of the same features as the more expensive box. Amazon hasn't rendered its six-month-old set-top irrelevant. The Fire TV is still significantly more powerful, with a quad-core processor and 2 GB of RAM, so it's a better choice for playing games. The Fire TV also has a microphone built into the remote. Fire TV Stick users will need to use Amazon's companion smartphone app for voice commands, or upgrade to the voice remote for $30. The Fire TV includes Ethernet and optical audio out, while the Fire TV Stick does not. Still, the software is nearly the same on both devices, with apps like Netflix, Hulu Plus, WatchESPN, Pandora, and Spotify available. Amazon's ASAP feature can predict which videos you might want and pre-load them to avoid buffering times, while X-Ray lets Kindle Fire tablet and Fire phone users view information about movies or TV shows from the small screen. Amazon is taking pre-orders for the Fire TV Stick now, and will start shipping on November 19. For the next two days, Amazon Prime subscribers can buy a stick for $19.